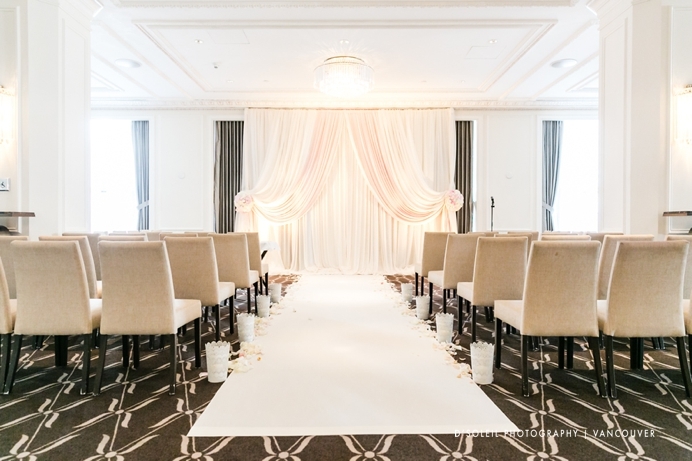 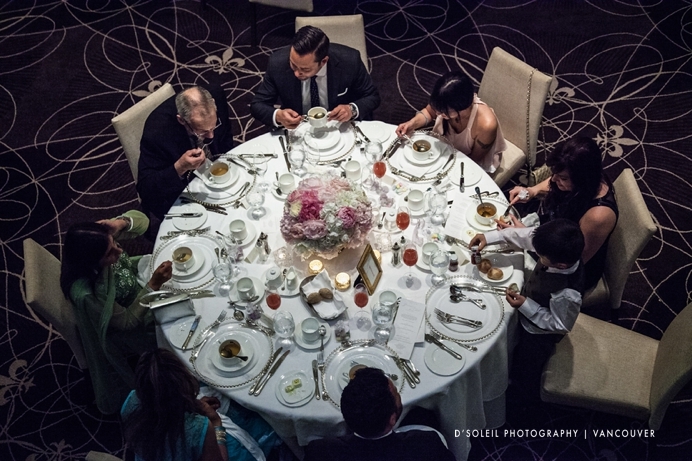 A classy Rosewood Hotel Georgia wedding in downtown Vancouver this Spring. 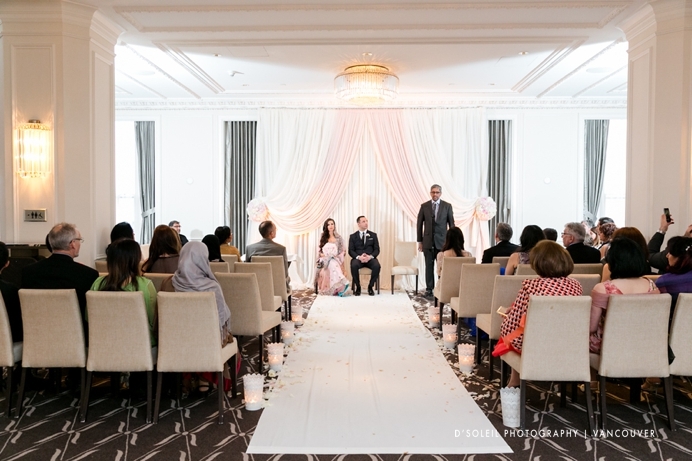 This was an intimate Indian and Persian wedding with the indoor wedding ceremony taking place in the Hotel’s Ballroom Promenade. 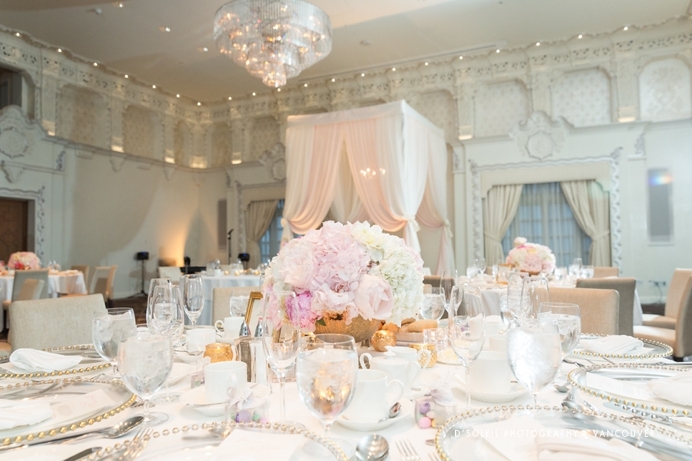 The dinner reception immediately followed in the Spanish Ballroom, brilliantly decorated by Colin Upright of Upright Decor Rental & Event Design. 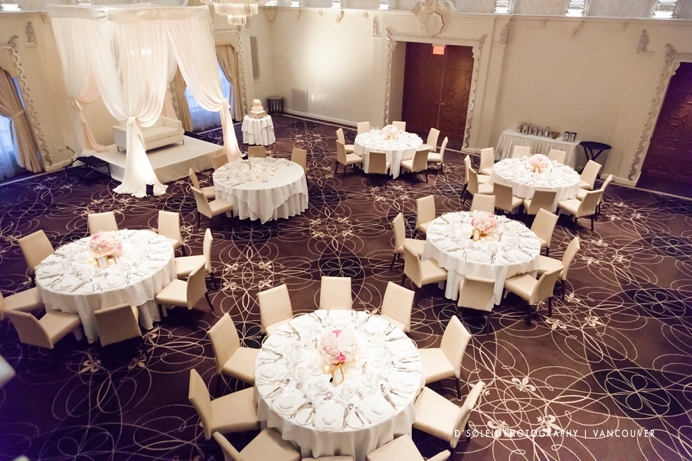 Such a simple yet elegant intimate wedding ceremony setup for the bride and groom’s friends and family. 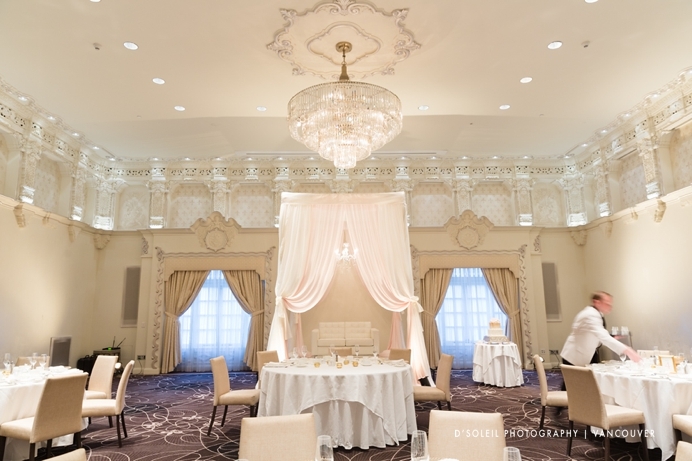 Inside the Spanish Ballroom, Upright Decor and the rest of the Rosewood Hotel Staff were busy putting the finishing touches on the decorations and lighting. 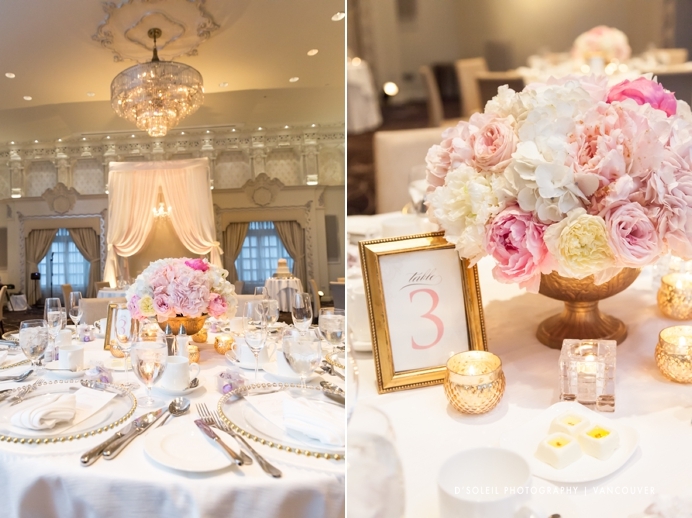 We loved the beautiful floral bouquet centrepieces and framed table numbers used for the dinner reception. 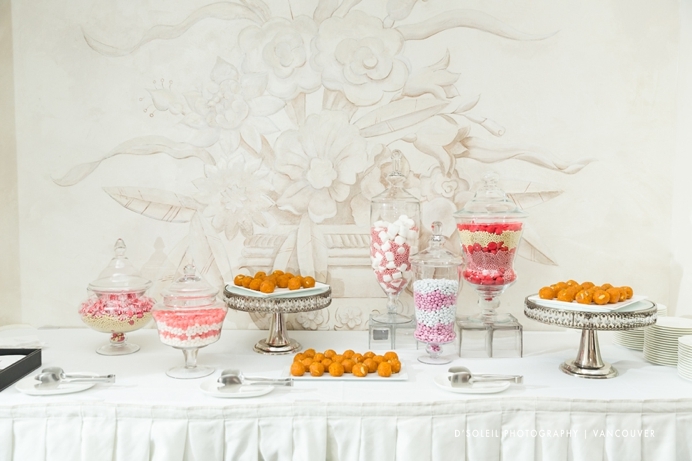 And of course the beautiful wedding candy and sofreh table was also worthy of a few photos. 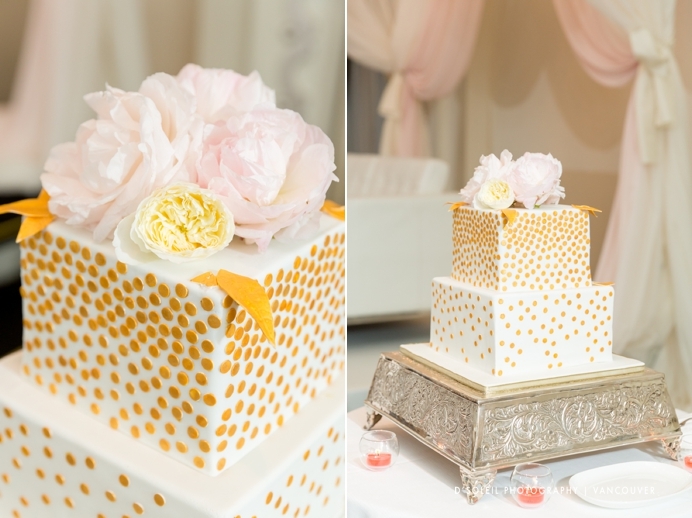 Their elegant wedding cake – simple, refined, and sophisticated. 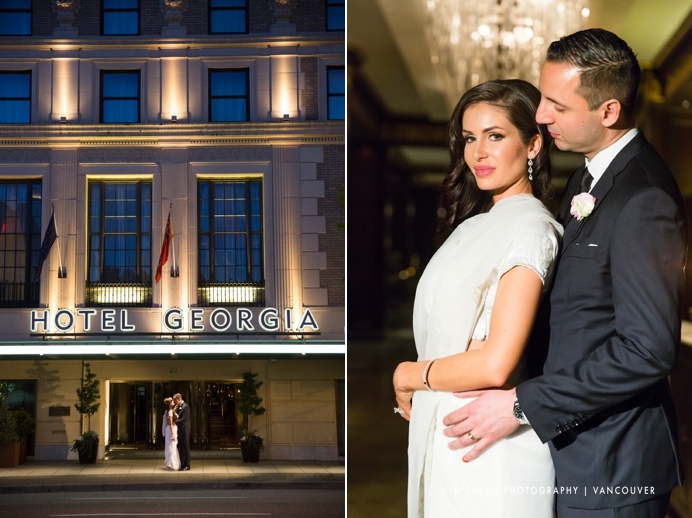 Then we spent a few minutes in the Hotel’s lobby taking photos, as well as some night photos outside with the large Hotel Georgia sign. 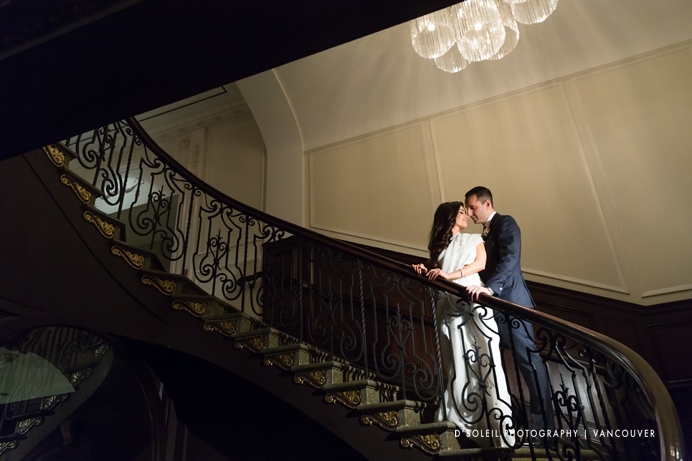 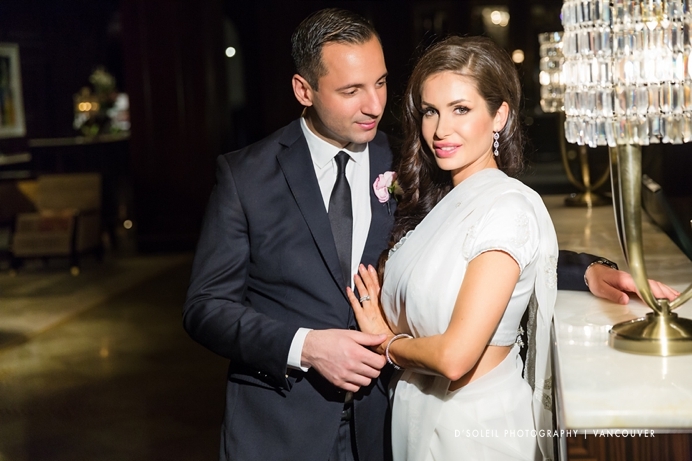 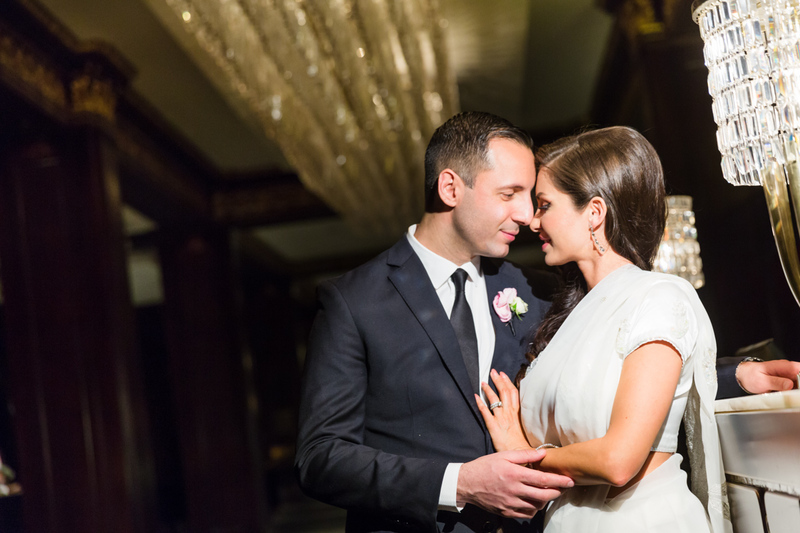 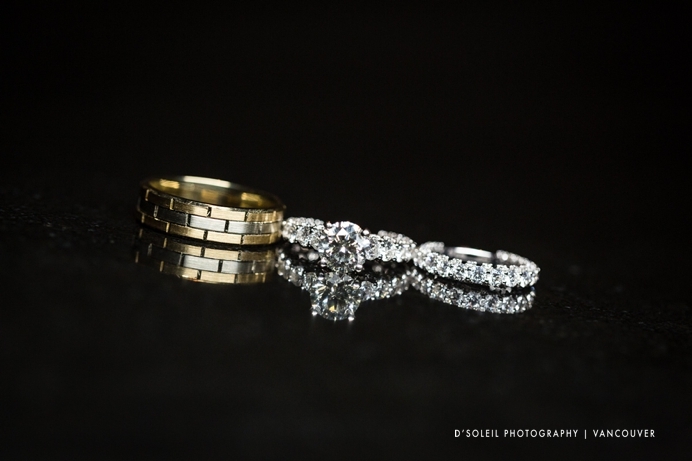 Congratulations again on a beautiful wedding Yasmeen + Ali!